The New Brunswick Progressive Conservatives’ plan to lift the moratorium on shale gas paints a disappointing portrait of a party unable to exercise even minimum due diligence on this issue. 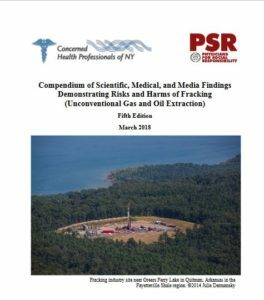 The evidence presented to the Commission on Hydrofracking from even the modest number of studies available in 2014 was strong enough to lead to our moratorium. Accumulating evidence presented to commissions in Nova Scotia, PEI, Newfoundland, New York, Maryland, Scotland, Wales, Ireland, France, and others, likewise led to moratoriums or bans. Essentially, the only places hosting a shale gas industry are those where the industry was established before any public examination. In light of this history, any call for lifting a moratorium must be accompanied by new evidence that the problems cited in the moratorium have been resolved.That the PC’s offer no such evidence suggests that they know none exists, or that they made no effort to check. The shale gas industry obviously cannot satisfy any of the conditions for lifting the moratorium. We could now demonstrate to a court that evidence against the industry has grown in every respect. Pregnant women, infants and children are especially vulnerable. “The introduction of fracking reduces health among infants born to mothers living within 3 kilometres of a well site during pregnancy,” far beyond the few hundred metres even the toughest regulations require between gas wells and residences. Finally, oversupply and low prices led the Wall Street Journal to note that, “energy companies…have spent $280 billion more than they generated from operations on shale investments.” Meanwhile, renewable energy is as cheap as gas and grows cheaper, while gas can only get more expensive. Mr. Higgs, please abandon this ill-conceived decision, and suggest something that will actually help all New Brunswickers. Posted in: Fracking & Health, Fracking and Economics, Fracking News.